The Cookie series from LG hasn't seen a new iteration for a while now, and the new T375 Smart shows they're still committed to the entry level market. Despite what the name suggests, the Cookie Smart is a regular feature phone. 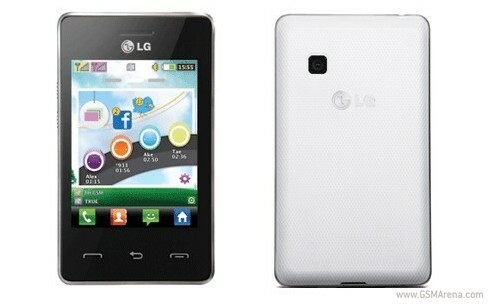 It features a 3.2 inch screen with a resolution of 240 x 320 pixels, weighing in at just 96 grams. Wi-Fi support and a 2MP camera are the only additional specs we have on this phone for now. Pricing or release date are as yet unknown, but with those specs it shouldn't cost much. LG already came out with a couple of dual sim phones and still they have not perfected any. Optimus net dual sim is the worst phone i ever had. i hope this phone will be better! I wonder wot size is the fone? as it si dual-sim, but is not compatible with video-calling, so why can't they make them those dual fones compatible with video-calling then??? with those technology they have these days, thnx. It;s very nice, now I am using one. Dual sim, nice design.